An employee of MGG Metran found an over 60 years old Rapid master medal in scrap metal. The rarity was handed over to the museum of the Austrian football record champion. 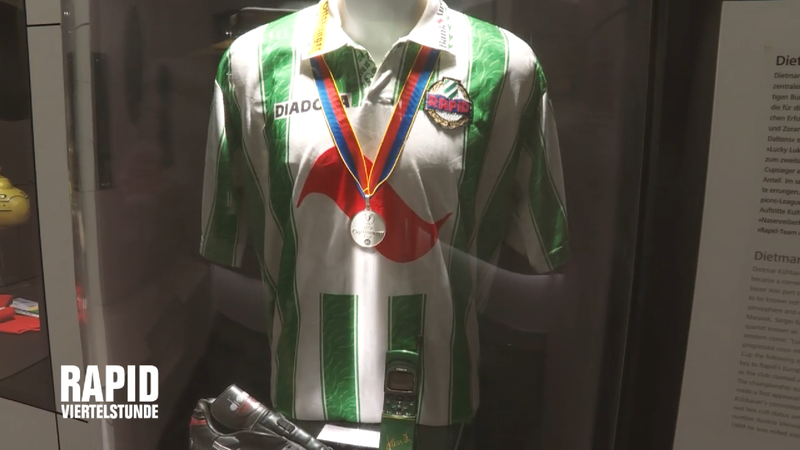 This year the kickers of the SK Rapid Vienna may not be able to become champions in their home league, but nevertheless they could be happy in Wien Hütteldorf about a master medal: In the facility of MGG Metran in Kematen, a gold medal from the 1956/57 season was discovered by chance. “Our employee Camen Wieser discovered the medal while processing industrial metals. She came to the office very excited,” says MGG Metran Managing Director Gunther Panowitz. 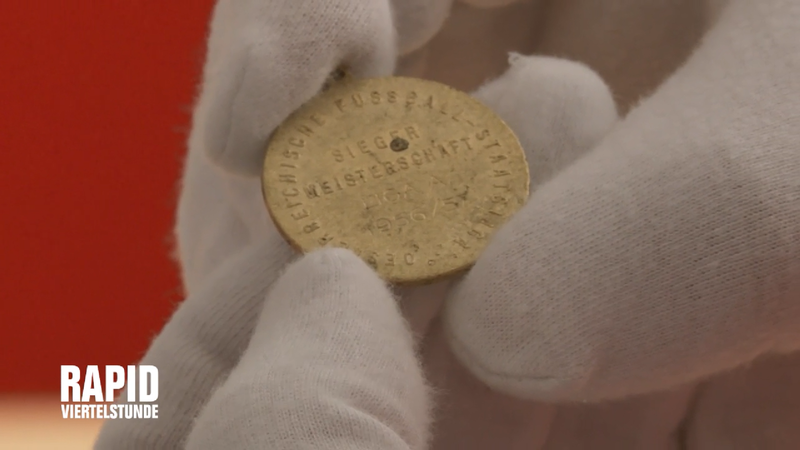 It was a real surprize what Carmen Wieser had discovered in the many tons of waste and scrap metal: “OESTERREICHISCHE FUSSBALL-STAATSLIGA – Sieger Meisterschaft Liga A 1956/57” (the Austrian top league winner 1956/1957) is written on the medal. Investigations showed that it was a master medal of Rapid Vienna. At that time, greats such as Ernst Happel, Gerhard Hanappi, Walter Zeman and Alfred Körner played in this master team. An appointment was made soon in order to hand over the Gold medal. Rosenberg happily travelled to Kematen to receive the rare specimen. “It’s nice to see how an old Gold medal like this, reappears and is being found – and especially where it was found – is very interesting, all this”, the museum coordinator was impressed when Gunther Panowitz gave him an insight into the working methods of the recycling professionals at MGG Metran. The master medal in 14 carat gold already shows several scratches and traces of burning, which is why Gunther Panowitz is sure that the medal has already once landed in a waste incineration plant. But thanks to MGG Metran it was saved from the fate of being melted down in a smelting installation. Laurin Rosenberg – and with him probably many green-white supporters – is particularly pleased about this: “Such a medal is a symbol of great success for players and a club – and can therefore hardly be counterbalanced with money. So Rapid can celebrate their 120th club anniversary with a medal for the champion in spite of everything. Incidentally, the medal will soon be on display in the Rapideum for all those interested. The Rapid News reported about this discovery in a film.